Juggling the responsibilities of a high-level PR position and motherhood is a challenge many women in the industry face – or hope to someday. Brittaney Kiefer finds a half-dozen ladies who prove it can be done. "I wanted to be the woman who has it all," says Alison Brod, founder and CEO of Alison Brod PR. Seven years ago, Brod was running her own PR agency, living in New York City, and married for 12 years. However, she realized one thing was missing – children. Today, Brod has two sons, ages six and four. Her current position has her overseeing a staff of about 50 women and working with clients ranging from Godiva to Estée Lauder. She attends work-related events five nights a week while still stopping at home to see her sons before bed. "I will sometimes spend 45 minutes in a taxi to see my kids for 11 minutes," Brod says. Women like Brod, who have climbed to the top of their field while juggling the responsibilities of motherhood, have become more common in the PR industry and beyond. Having it all, as Brod calls it, is not without its challenges though. Women are still outnumbered at the highest levels of leadership, leaving many working mothers to forge their own paths to career and family success. For some working mothers in PR, the decision to start a family did not come easily. Brod says she weighed that decision as carefully as she would if she were taking on a new client. "I don't take on a client unless I'm really confident I have the time, staff, and ideas for it," she explains. "I didn't want my baby to be that client I could not handle." Brod says she was also concerned her clients' and colleagues' perception of her would change once she became a mother. Similarly, Kimberley Goode, VP of communications and corporate affairs at Northwestern Mutual and a mother of three, worried her boss would react negatively when she announced her first pregnancy. "I wondered if the CEO would question whether I could perform my duties," Goode recalls. "I tried to convey to my team and my boss that I was excited about being a mom, but I was excited about continuing my career, too." Goode's and Brod's choice to have children was well received by their colleagues, but as with other working mothers, the most difficult part came later, in juggling the two roles. Sheryl Battles, VP of corporate communications at Pitney Bowes and mother to one daughter, recalls a time when she had to delay a family photo session because of a crisis at her company. Such experiences, she says, are "inevitable" in the life of a working mother. "The biggest challenge is just having the time to stay connected with my family, connected with myself, and get everything done that needs to be done," she says. A key to finding career and family balance, say most working mothers, is the ability to be flexible about where, when, and how they get work done. 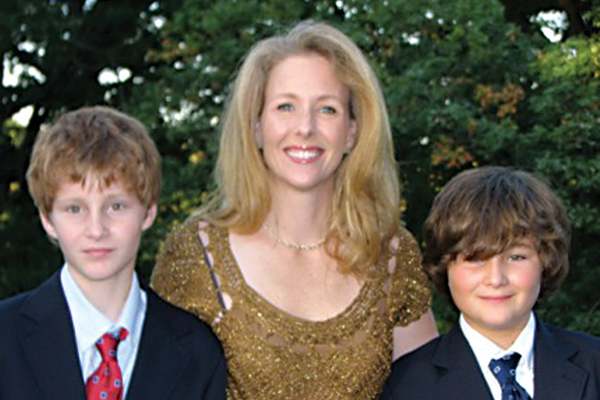 Stephanie Marchesi, senior partner and CMO at Fleishman-Hillard and mother of two, arranged to work four days in the office of her former agency, Manning, Selvage & Lee, and one day at home after giving birth to her first son. Technology has enabled her and other working mothers to work remotely as needed. Even after a day at the office, Marchesi often stays connected to her laptop while at home with her sons. She says there is "no black-and-white separation" between her work and family life. That "fluidity of moving between work and home" is vital to Marchesi's success, she says. "Most times when I talk to Stephanie, I don't know where she is," notes Dave Senay, president and global CEO of Fleishman-Hillard. "But I know she's on the job and doing the best she can for clients, for the agency, and for her family." Goode is able to achieve balance by minding her time judiciously. "The most important thing you can do," she suggests, "is prioritize, so you don't get lost in trying to do it all. Trying to be everywhere and do everything – throw that idea out the window." While the PR industry is dominated by women, with many of them being working mothers, the most senior-level posts remain largely occupied by men. According to two of those leaders, however, parenthood leaves women well equipped to take charge. Since Aedhmar Hynes and other female employees have become mothers, Dyson has realized the many benefits of having parents on staff. As a mother of four, Text 100 CEO Hynes embodies the qualities of a good leader, Dyson says, calling her "tireless," "pragmatic," and "a team player." "A good parent is a phenomenal manager because they learn how to motivate people to do things," he explains. "If they can do it with their kids, doing it with employees is a relative walk in the park. If you don't recognize that as someone running a business, you're missing out." "To balance your life in this environment is no small undertaking," Senay says of working in the PR industry. Yet many of Fleishman-Hillard's leaders are working mothers, including CMO Stephanie Marchesi. "You have to take active responsibility for making your life work," he adds, "and Stephanie is brilliant at managing her life. She takes it upon herself to use all these tools available to her and make them work for her." Aedhmar Hynes, CEO of Text 100, says she stopped aiming to find balance and instead tries to "blend" the different aspects of her life. "We shouldn't strive for balance because if there is an imbalance, which there regularly is, you end up feeling at odds with that," says Hynes, who has two sons and two daughters ranging in age from seven to 19. "The more you can find ways to blend all the components of your life, the more balance you create." For Hynes, that means educating her children about her career, whether it's by bringing them to her office occasionally or telling them about a new tech client. "My whole goal over the years was for my children to understand as well as they possibly could what I did," she explains, "so when I come back after being away on business they can ask, ‘How did the big pitch go?'" Likewise, Hynes is transparent with her clients and colleagues about her children, even to the extent of inviting some of them to her home for dinner. She has found many clients respond by being equally open. "I've always felt it's developed closer relationships with clients," she adds. Yet even when working mothers achieve integration, sometimes sacrifice is necessary, says Marchesi. She worked more than nine years at MS&L on a reduced schedule, but she eventually realized that her role was too demanding to be part time. At that point, Marchesi understood that to advance in her career, which was still important to her, she "had to choose" to take on a fuller schedule. "That was a very hard decision," she admits, "but for me there was an opportunity, and it felt like it was an OK time in my family's life. It's good to find a company that will be flexible, but make sure your actual job is also aligned to be successful with that flexibility." Ana Compain-Romero, director of university affairs at the University of Missouri, has four children, including one son with autism. When her first child was 18 months old, she turned down a job offer because it would have required a lot of travel. "I didn't take that job, even though I thought I'd be really good for it," she says. "You make certain choices based on what works best for everyone. Sometimes, it's not just what's best for you." Most working mothers say they couldn't juggle it all without a strong support system. Some, like Brod, employ nannies; Compain-Romero receives help from her parents, who live with her. Assistance also comes from tutors, friends, and spouses with equally flexible schedules. "You can't be by yourself," Marchesi says. "You've got your team at work, and you begin to put together a team for your personal life." A crucial part of the support system, say mothers, is employers who make it possible for women like Marchesi to build their schedules around family. Fleishman-Hillard, for example, has policies that allow reduced and flexible hours, generous maternity leave and vacation time, and the option to work from home. "An organization must send a strong message that it is friendly to all women – single, married, with children or without," Senay says. As they juggle careers and families, many PR mothers have found unique ways to incorporate their children into their work. Alison Brod, founder and CEO of Alison Brod PR, sometimes brings her two sons along to press events. They have modeled in clients' fashion shows on Today and Good Morning America. "I'm weaving them into my work day whenever I can," Brod says. Tim Dyson, CEO of Next Fifteen Communications, recalls breakfast meetings with Aedhmar Hynes in which her children were present. Hynes' eldest daughter once interned at the company, and her children have accompanied her on business trips. "They've taken flights with me where I told them to tuck their shirts in because they would be going into the business lounge and representing Text 100," Hynes recalls. 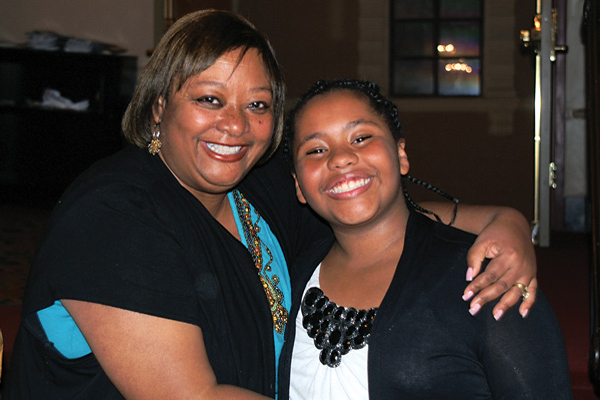 Pitney Bowes' VP of corporate communications Sheryl Battles says her daughter is a frequent visitor to the office. "I call her the ‘Pitney Bowes baby,'" she says. Battles, who grew up in Texas, wasn't introduced to a corporate environment until adulthood. Now she thinks it's helpful for her daughter to have mentors and gain an understanding of work life. In fact, Battles set up a mini office for her daughter at home, where she has her own desk and files. "She goes there to do her homework," notes Battles. "It's her work space." Battles also lauds the role her company played in making the decision to start a family easier. "When I joined Pitney Bowes," she recalls, "it had a work-life task force, which I felt was very cool. I wasn't a parent at the time, but the company had a culture that demonstrated an innate understanding of the reality of working parents." Many women agree that PR is a good career for mothers because industry executives are expected to work flexible hours anyway. And in an industry that is predominantly female, working mothers who share common priorities are not hard to come by. Still, the industry's leadership remains dominated by men, raising the question of whether a woman with children can advance to the top of her field. Tim Dyson, CEO of Next Fifteen Communications Group, which owns Text 100, says the PR industry needs to improve for working mothers. "If I look across the industry, there are still way too many men in charge," he says. "I worry some of the best people in communications leave to have children. That somehow puts a glass ceiling on their careers. That's the industry's loss." Hynes was one of Next Fifteen's first female employees to have a baby, Dyson recalls. Her example pushed him and the rest of the holding company's leadership to implement policies enabling working mothers to advance within the company. Before Hynes' second maternity leave, the board promised her a promotion upon her return, a meeting she cites as a turning point in her career. "They created a picture for me that made me want to come back to work," Hynes says. Dyson calls Hynes a "role model," but Hynes remains wary of the idea that one can have it all. "The times when we see the perfect mother who seems to have everything together – we'll never live up to that," she says, adding that instead of comparing oneself to others, it's much better to focus on yourself and say, "Actually, I can do this." For additional videos with other working moms of public relations, click here.